Trading the forex market can extremely difficult if you are relatively new in this industry. There are many traders in the world who are making consistent profit out of trading the financial instrument. But the number of successful trader in this industry compared to the losers is extremely small. Statistics suggest that out of 100 traders only 5 people are making consistent profit out of trading the forex market. The rest who are losing money is only because of their lack of trading knowledge and discipline. Imagine how many years that the engineers spend in their education before they get involved in real life paid engineering job? Similarly almost every professional requires extensive training for making a decent income. But when it comes to forex trading all the traders think to get rich quick over the night. But forex is not a get rich quick scheme. In order to make profit consistently form this market you need to have solid understanding of the financial world and stick to your trading discipline. In this article we will talk about the most important three factors that every traders need to know in order to become a professional trader. You can master one or two factors and jump into the world of real life trading. But don’t expect to make money unless you have mastered all the three major factors of the forex market. Technical analysis is considered to be most common type of analysis that every trader learn in their early part of their trading career. 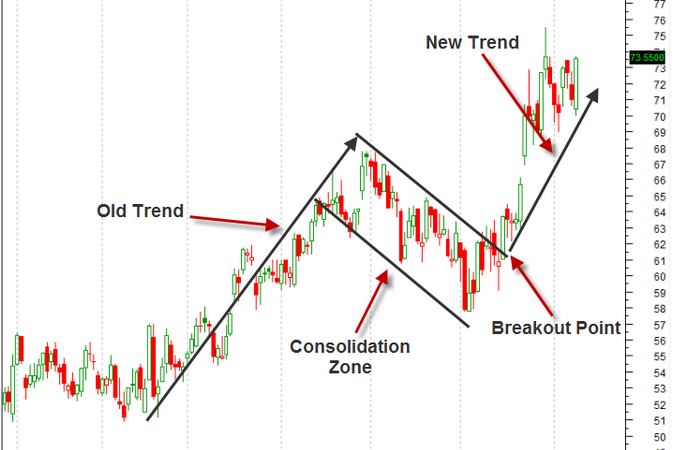 The study of raw price data and different formation of the price in the chart is often termed as technical analysis. In order to master the art of technical analysis you must have clear understanding about the support and resistance of the forex market. In the eyes of trained professional the most profitable setups are formed in the market when the traders use the important support and resistance level in the market along with the long term trend line. There are many traders who often mess up their chart by using too many indicators. But experts suggest that in order to filter out the best possible trade in the market you must have a clean chart with few indicators which will help you to filter out the odd trades in the market. There many advanced professional in this industry who uses the price action trading style in their technical analysis. Price action trading strategy is the study of the raw price data along with the different formations of the highly reliable candle stick pattern. It is often considered to be the best form technical analysis in the forex market by many professionals. Fundamental analysis is the study of the economic performance of the country by analysis the major news releases in the market. Professional traders always consider the fundamental factors before taking any trade based on their technical analysis. Fundamental news releases are the price driving catalyst in the market which creates the volatility in the market. Even the most significant support and resistance are often broken in the event of the major economic news releases. Important news releases like the FED rate hike decision or the US Non-Firm Payroll data can even change the long-term prevailing trend in the market. As professional trader you must consider fundamental analysis before you execute any order in the market. These are the factors which have long lasting effect on the economic performance of the country. Many expert forex trader often consider the fundamental news releases as the leading indicators of the long-term movement of the currency pairs. This is the third and last type of analysis that the traders require to learn before they enter into real world of trading. The technical and the fundamental section can be learned by going through different education materials in the forex industry. But in order to master the art of sentiment analysis you must spend considerable amount of time in real life trading. The market sentiment is a very power factors which sometimes washes the most profitable technical and fundamental setup in different financial instrument. Once you start your trading career with a strong foundation of the fundamental and technical analysis then you will learn the emotional moments of the forex markets. As a professional trader, you must bring these three types of analysis into your grip in order to make consistent profit in the market. Experts believe that it requires at least one year to understand to full sentiment of the forex market. Summary: Trading the forex market can be extremely profitable if you know how to deal with the different financial instrument at any given time. Those who are trading the financial instrument years after year have solid understanding about the three major types of analysis in the market. It’s true that things will be pretty hard when you start but if you are truly committed to yourself and thrive enough to learn all the necessary details of the forex market then will master the true art of forex trading. There are many traders who trade the market with their emotions. But when you bring emotions in real life trading you kill the professionalism in this arena and incur huge losses. Remember to cut your losses early and let your winners run long. Go through all the educational articles you can find in this sectors. There is nothing wrong in reading more rather it will help you develop as professional trader. Stick to your trading plan and develop a habit of reading to gain knowledge every single day.